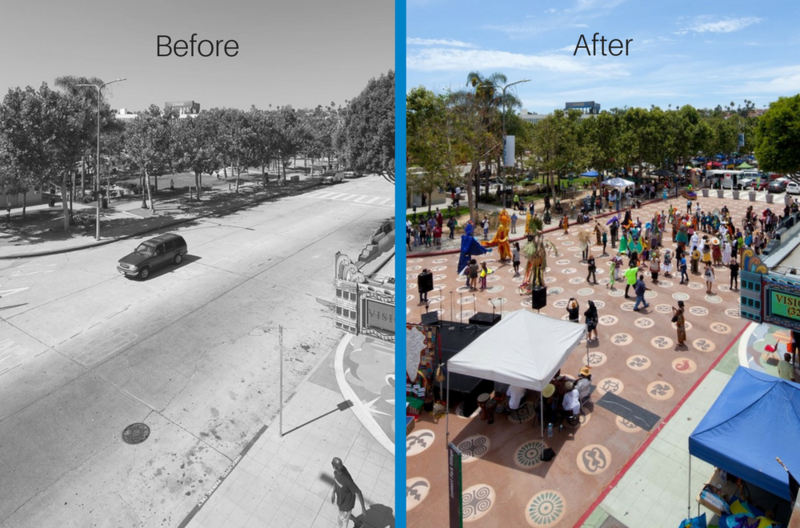 Janette Sadik-Khan spent six years spearheading some of the most pioneering approaches to people-first street design while leading the transportation department for in America’s most populous city. She’ll be bringing that experience and more to Intersections: Creating Culturally Complete Streets as a keynote speaker in April. New York is the densest and most walkable city in the country. But just a few, relatively small walkable urban places—or WalkUPs—are responsible for an outsize percentage of the region’s population, employment, and GDP. How do these WalkUps compare economically and socially to the region’s drivable suburban communities? What challenges will New York’s WalkUPs likely face over the next 20 years, and what can policymakers do to address them? 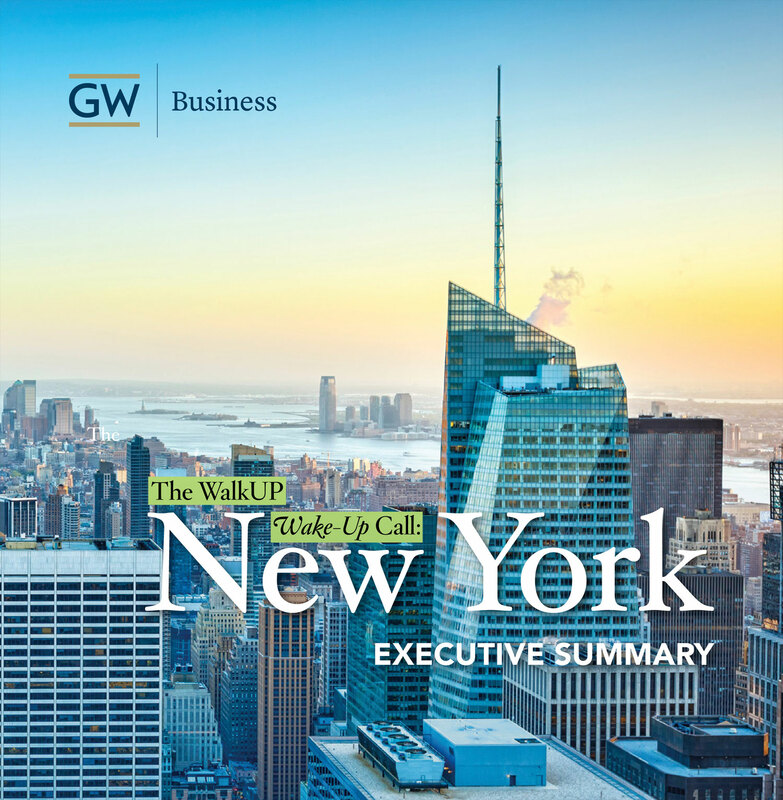 On April 4, 2017, the George Washington University’s Center for Real Estate and Urban Analysis (CREUA) will answer these questions when they release The WalkUP Wake UP Call: Metro New York City. The report will include for the very first time a nearly 100 percent census of all real estate in the New York metro area as well as an analysis of growth trends in the region. On Monday, Mayor Kasim Reed will dedicate what city officials are calling “the most significant step forward yet” in the long-awaited Beltline, a projected 22-mile loop in central Atlanta built upon abandoned railway corridor. Statewide, Californians are increasingly pumping air into the flat tires on their dusty old bikes instead of gas into their tanks. Recent historic spikes in gas prices are expected to stay high, forcing many to look at their gas guzzling minivans and SUVs in a new light. On Page One of Wednesday’s Journal, we wrote about a museum in Kansas that caters to America’s undying fascination with suburbia. Merits of the museum aside, the article highlights a persistent theme in American culture that has fascinated demographers, urbanists and especially home buyers for several generations: the question of whether or not the suburbs are alive and well or hollowed-out and dying. The Missouri General Assembly on Wednesday passed land bank legislation that would let Kansas City buy and sell swaths of abandoned land. The allure of the big city is pulling at businesses that previously called suburban office parks home. [D]owntown Milwaukee “is exceptionally well-positioned” to tap into such long-term trends as baby boom empty nesters and young professionals wanting to live, work and play there, says Segal, a well-known consultant to downtown development groups. The following was crossposted from Smart Growth America’s coalition partner, New Jersey Future. New Jersey, with its extensive rail transit network and “streetcar suburbs” with pedestrian-friendly downtowns that surround many of their stations, is well poised to take advantage of the rise in demand for this walkable urbanism. New Jersey is an anomaly among the 50 states in that it is highly urbanized yet lacks a major center city to claim as its own. The state’s home-grown urban centers all live in the shadows of their much larger neighbors, New York and Philadelphia. In fact, New Jersey is widely perceived as consisting mainly of suburbs serving these two cities, even if many of its small towns do not fit the low-density, single-use stereotype of a “suburb.” The distinction, however, between city and suburb as the defining paradigm for describing the built environment is giving way to a new dichotomy: walkable urbanism versus drivable sub-urbanism. New Jersey is well positioned to take advantage of this change. In cities in every region of the country, pie-in-the-sky ideas are moving from brainstorm to blueprint to groundbreaking — and 2012 will prove it. There is an inequity in government subsidies for roads, police protection and other services that township residents receive compared with city residents, though both groups pay the same taxes, a University of Toledo study shows. Chairing the City Planning Commission since 2002, Burden, age 67, has revolutionized its role in the city, transforming a once-sleepy bureaucratic agency into an activist department championing good design by using zoning as a weapon to enforce her vision. In her second-floor office near New York’s City Hall, she reviews applications for all new buildings that come before the commission, instructing developers and architects on what they can and cannot do—something that comes as a dramatic shift in the order of business to executives accustomed to getting their way. Leaders of the Senate Environment and Public Works Committee are ready to introduce a new surface transportation bill, but want a commitment from the Senate Finance Committee to find a way to pay for it, a Capitol Hill source said this morning. The committee will propose a two-year transportation bill that will cost $12 billion more than anticipated revenue from the Highway Trust Fund. Committee leaders believe it has a better chance of passing than the traditional six-year bill. Smart-growth advocate Greater Ohio has been pushing for redevelopment of abandoned properties and keeping vacant properties from blight through policy and code enforcement. They’ve put the housing stock of Akron, Youngstown and other large cities under the microscope, but Lavea Brachman, executive director, said the same basic strategy applies for a mid-sized or small city. The construction-burdened Central Corridor can seem like a messy ordeal to drivers, walkers, bikers, and bus riders, but a cleaner future lies ahead. University Avenue property owners in St. Paul could receive aid to get the ball rolling on future developments due to a $1 million grant awarded through the EPA’s Brownfield Program. Spring was a little shrill and embarrassing. There were crazed media furies about bike lanes, non-stop reports of police crackdowns, hyperbolic worries that the city was transforming into an effete Euro village. 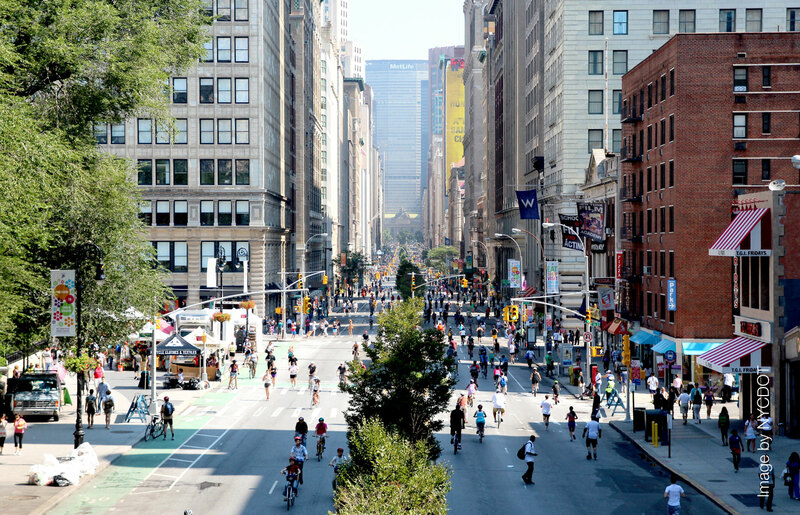 If we didn’t defend our streets, the cyclists would overtake Manhattan. Mayor Bloomberg and Department of Transportation commissioner Janette Sadik-Khan would open a leg-shaving station in Union Square…But then a funny thing occurred. It got warmer, more people started riding, and the mania was eclipsed by reality. Five development projects seen as promoting dense urban development oriented around mass transit have been chosen by the Massachusetts Smart Growth Alliance to receive $1.5 million in aid. Is a housing construction boom coming? You might think the question posed in the headline above sounds crazy. Aren’t foreclosures very high and thousands of distressed properties hitting the market each day? Didn’t residential construction go bonkers during the housing bubble in an epic overbuilding binge? The answers to these questions are: sort of, but it’s complicated. After the bubble popped, home construction fell to historic lows and stayed there. As a result, we may be on the verge a housing shortage in the U.S., which would actually be very good news for the economic recovery. "An increasing movement toward more walkable cities"
You wouldn’t spend much time hanging around in the parking lot of a strip mall in a car-dependent suburb. But, you would linger in a very walkable city, which means you’re more inclined to spend more. Quite a bit more, in fact. The Urban Land Institute studied two Maryland suburbs of Washington, DC, one walkable and one not. They found that the Barnes & Noble book store in the walkable suburb made 20 percent more in profits than the one in the driving-dependent suburb. There’s an economic benefit for homeowners, too: Homes in walkable cities hold their value better than those that were heavily reliant on driving, according to Smart Growth America, a group that promotes “smart growth” instead of suburban sprawl. Uncategorized BostonCaliforniaChicagoCNBCDistrict of ColumbiaHawaiiHonoluluIllinoisMassachusettsNew YorkNew York CityOregonPennsylvaniaPhiladelphiaPortlandProvidenceRhode IslandSan FranciscoSeattleWalkabilitywalkableWashingtonwashington d.c.